Scilla Siberica – An Attractive Blue Star Blooming in Spring! Scilla Siberica is a very pretty small spring flower. The squill flowers look like little bright blue stars. Siberian Squill is native to Siberia, as the name implies. This plant is a member of the Haycinthaceae family. 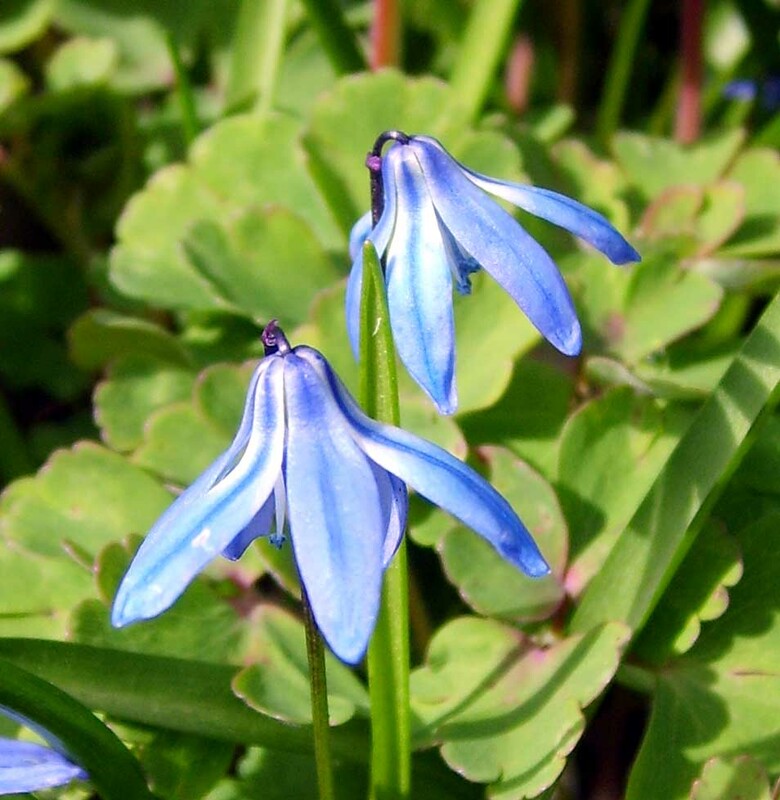 Scillas grow quickly and grow often in substantial clusters, covering wide areas. They are popular garden flowers, but they also often grow wild. They bloom in February and March together with the snowdrop flower, the winter aconite, the primrose flower, the daffodil flower, crocus flowers, pansy flowers and tulip flowers. The scilla flower often gets confused with the glory of the snow flower (Chionodoxa luciliae), another early blooming blue flower. They look indeed very similar. Yet, they can easily told apart: scilla flowers face downward, glory of the snows face upward, have a white centre and the blue colour is paler. Scillas naturalize well and every year you can enjoy your spring garden with a growing carpet of scillas. Tip: plant them together with red tulips, yellow daffodil flowers and white snowdrops to have a nice contrast in your garden.